A tracking device is a great tool to keep your field operations under control, and this technology has evolved a lot over the last few years. Nowadays, a commercial GPS tracker is not just about vehicle location tracking; it’s also an instrument to reduce expenses, better manage employees, and enhance operations. Unfortunately, many business owners are unaware of how to harness the potential of a GPS tracker to its fullest in their business. This is a shame, as some companies fail to achieve a clear return on investment and improvement in their operations. 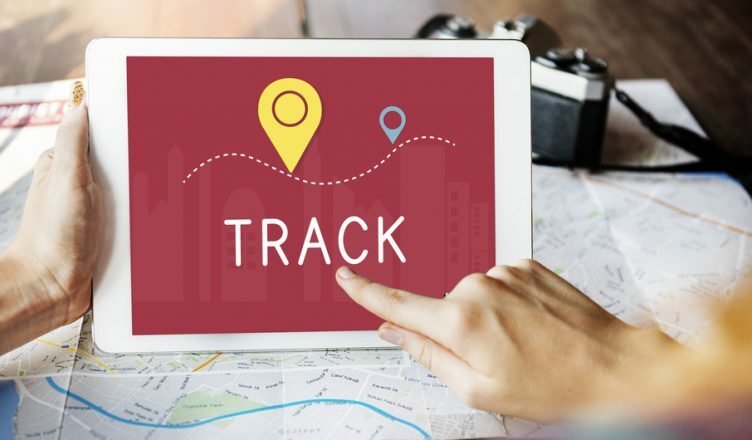 If you’re one of those business owners, here are five tips that should help you get the most out of your GPS tracking device. First things first – if you want to run a foolproof operation, you need a route planner that comes with a GPS tracking feature. 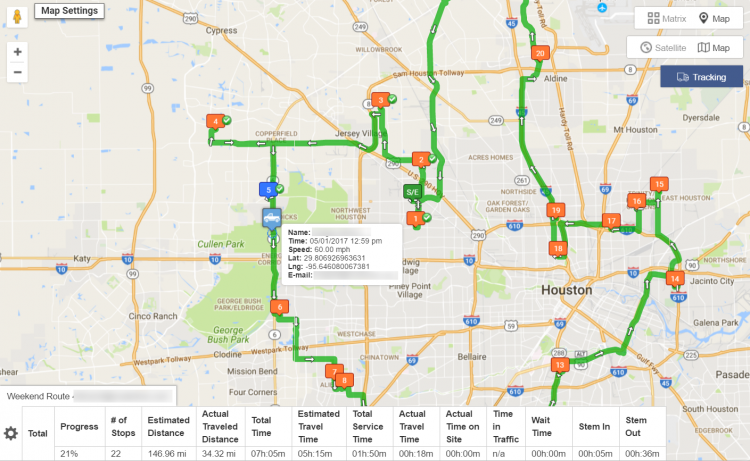 Such a multiple destination route planner will help you plan well-optimized routes which are free from traffic, bad weather conditions, left turns or U-turns, under-construction roads, and many other hazards as well. You’ll just need to upload the list of customer addresses your people need to cover into the software, and you’ll be rewarded with 100% accurate routes in just 30 seconds. 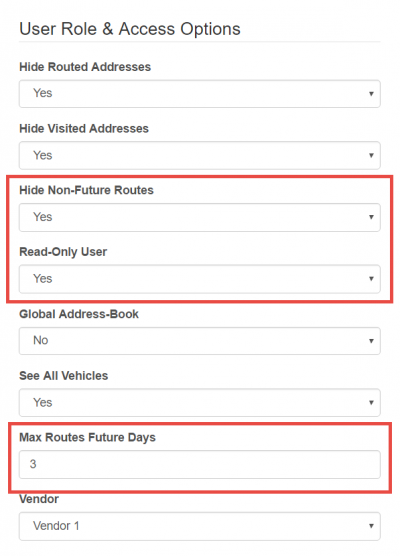 The best route planners even come with around five options to help you add addresses, so keep an eye on this feature when you make plans to buy fleet mapping software. Territory management to help you plan your routes more efficiently. 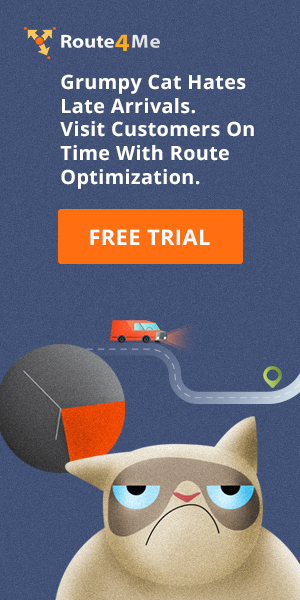 So with a map route planner, you can optimize routes and track your vehicles in real time, nullifying almost all possibility of delayed appointments or deliveries. Wouldn’t that be a sign of great return on investment? A reporting and analytics feature is crucial if you want to improve your operations. It’ll give you all the historical information about every vehicle activity you need, so that you can identify areas that need improvement, control expenses, and make your field operations more efficient. You don’t have time to sit in front of your computer, tracking where your drivers are going, or what they’re doing on the road. Yet you can’t ignore these critical aspects of performance either. That’s why you need the assistance of an alerts feature, which is offered by premium tracking devices. With geofencing alerts, you immediately learn if a field technician or driver enters and leaves a predefined area, so that you can know if a rep made it to assigned customers on time. It is also possible to set alerts to notify you when a specific activity, such as speeding, excessive idling or unauthorized vehicle usage, occur. This is the most convenient way to track your team, improve productivity, and save time on administration. The best tracking devices also come with an access restriction feature that enables you to set permissions for specific users. Once this is implemented, only authorized users or a set number of people can access certain details on particular routes. This will ensure stronger data security and help you avoid information overload. Also, tracking devices will help delegate responsibilities appropriately. For example, the field service manager can assign field reps to one team, set one rep as the leader, and give the leader permissions. The business owner can then be the only one with access to vehicle data analytics, in order to ensure that everyone is doing their jobs. You can even set read-only instructions for some specific users, rather than the polarized option of giving them complete control of the data, or blocking them off completely. However, it’s important to keep this information under wraps as much as possible, as you don’t want it slipping into the hands of your competitors. If you go for route optimization software that comes with this vehicle tracking feature, go for one that also offers eSignature technology. Such an eSignature feature will allow your customers to sign for deliveries directly on your drivers’ mobile devices to collect customer confirmation. This will mean that your drivers never need to use paper slips, which are easy to lose and misplace, while also being less durable than electronic data. Using such technology is also a great way to settle disputes if any arise with customers. For example, there could be instances where a customer claims that a package was never dropped off, while your driver insists that he or she did drop it off, and the confirmation slip has been lost. In such scenarios, you can either trust the customer and alienate your driver, or trust your driver and alienate the customer. There is no good option. But with an eSignature feature there’s nothing to lose, and in the event of such disputes you’ll know exactly what occurred. So how do you get the most out of your tracking devices, or have you not yet used one? Do you have any questions about this subject? Please feel free to let us know your comments below. How can tracking devices help you with data security? How can eSignature technology help you manage customer disputes? 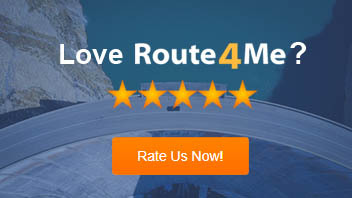 Why should you opt for vehicle routing software?